The ignition key is one of the essential features of any vehicle regardless of its age, origin, make or model. A problem with the ignition key of your vehicle is not uncommon as the ignition system of the car is somewhat sensitive, and a combination of two crucial elements – the ignition key and the ignition switch. Most common problems with these two components can be boiled down to two distinct situations: key stuck in ignition or key won't turn in ignition. This is where Multi Locksmith can help you out with a professional ignition repair service which is offered 24/7 to resolve you problem as quickly as humanly possible. In most cases ignition key or switch problems can be resolved without the need for replacement parts which can be quite costly. 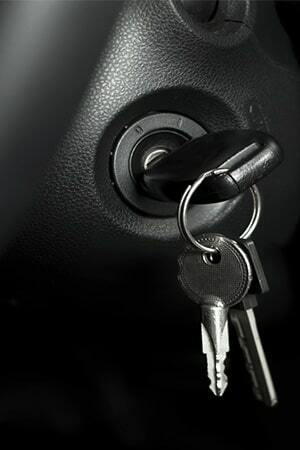 Our ignition key repair service will save you money and time and get you car up and running quickly and hassle free. We have long experience with keys or other object getting stuck in the ignition, key not turning in ignition or damage to the ignition key from an attempted theft. Repair may not always be an option and in such cases you will need an ignition key replacement. As pointed out above, one of the situations which will require full replacement is if the key snapped and got stuck in the ignition thus you are unable to turn the car on, or switch it off. An ignition key replacement is also needed when you've simply lost your keys or damaged the ignition key – a bent, twisted or broken key is a relatively common problem. All in all, this goes to show that a faulty or broken ignition key means you are going nowhere. Indeed this causes major frustration and lots of unnecessary headaches, or does it? Well, if you make a quick call to Multi Locksmith and let us know of the situation and where your are at, we will provide you with punctual, efficient and cost effective ignition key or switch replacement service that will have you back on the road without costing you silly money or making you wait around. When you call us, please provide sufficient information about the model, make and year of your vehicle so that we can get organised with all the necessary equipment, products and materials. Ignition keys don’t usually have over-elaborated tech specs, especially earlier vehicle ones, but we rather be safe than sorry – that’s why we come fully equipped on site every time. We will be able to carry out an ignition repair or make the ignition key or ignition switch replacement right there and then, which means you won’t have to go back, or wait around for hours. Our ignition repair services are performed by specially qualified technicians who know their work inside out. Your new key or ignition switch will allow for the same functions as the original ones, and will be recognized and accepted by the vehicle. Owners of late model or up market vehicles know how much of a nuisance it is to have the replacement key rejected by the car. With Multi Locksmith though, this will not be an issue. As always we adhere to our thirty minutes response policy – we want you back on your way as soon as physically possible. On the same note, we also maintain an emergency ignition repair service, at your disposal any time of day or night. If you need a brand new ignition key replacement, East Bay Multi Car Locksmith is here for you. We work 7 days a week make sure that we’re always available for any emergency situation. We work with the most qualified technicians that know everything about the locksmith trade. Whether you need a new ignition key, transponder key or switchblade key, we’ll be able to fully assist you. Our technicians cover the entire Oakland area, Richmond area, Fremont area, Hayward area, Concord area, Berkeley area, Walnut Creek area and all other smaller towns in the East Bay Area CA and San Rafael so you never have to get worried. There is no reason anyone should ever be kept waiting, especially at night. We can arrive within 30 minutes to your scene. It’s no wonder our customers love us! If your ignition key isn’t functioning properly, you won’t be traveling far! You don’t have to get upset or nervous because we’re already on our way to help. We have a fantastic team of skillful technicians that stay on call to help you out. They are expert auto locksmiths with plenty of experience and referrals behind them. Our responsibility is to quickly get to your location, and provide you with the best quality services. We never use forceful tactics like some companies do, as we follow strict policy guidelines. We understand how aggravating it can be to get stranded on the road, but we’ll be by your side before you even know it! Don’t settle for anything less than the best! At East Bay Multi Car Locksmith, we offer the most competitive prices, and provide you with the high quality services you deserve. We encourage you to have a look through our testimonials, as we’ve worked really hard to built our reputation. We know that once you choose us, you’ll become a satisfied customer as well!